Hey, guys! To become a leading fashion and technology pioneer is one of the core idea of company UMIDIGI. No longer ago UMIDIGI announced it’s wireless fast charger UMIDIGI Q1 and after announcement it soon becomes one of the fast wireless charging power in the world. It looks like really attractive and fashionable. 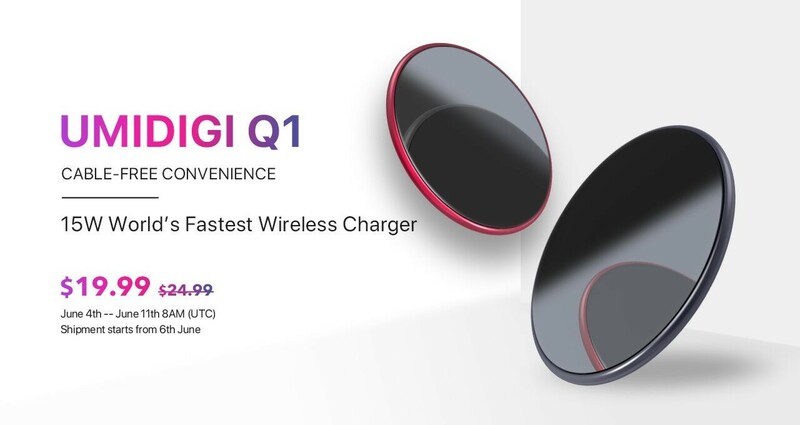 And today the fast wireless charger UMIDIGI Q1 kicks off sale at it’s retailer Gearbest. Let’s talk about the main features of this device. First of all it’s about speed. The UMIDIGI Q1 offers four wireless charging modes, 5W normal charging mode, 7.5W, 10W, and up to 15W fast wireless charging mode for the UMIDIGI Z2 Pro. The wireless charging power efficiency is up to 80%. To be more detailed, It provides 10W fast wireless charging power for the Qi-enabled devices like Samsung Galaxy S9 / S9+ / S8 / S8+, Huawei Mate RS, Xiaomi Mix 2S and so on. It also provides 7.5W charging power for iPhone X, iPhone 8 and iPhone 8 Plus. 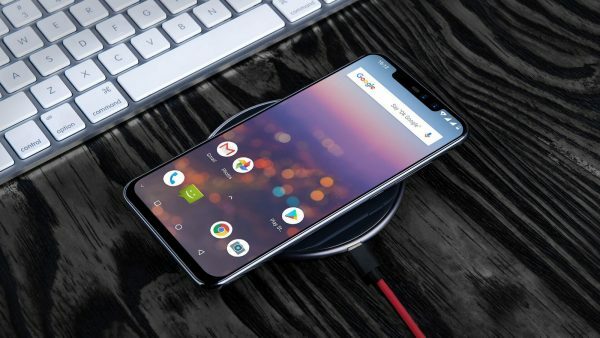 UMIDIGI explained us that if your device also wants to get 15W fast wireless charging power, then your device should be also supported 15W wireless charging input, just like the UMIDIGI Z2 Pro. However, the iPhone X only support maximum 7.5W wireless charging input, and the Samsung Galaxy S9, S9+, Xiaomi Mix 2S support maximum 10W wireless charging input. 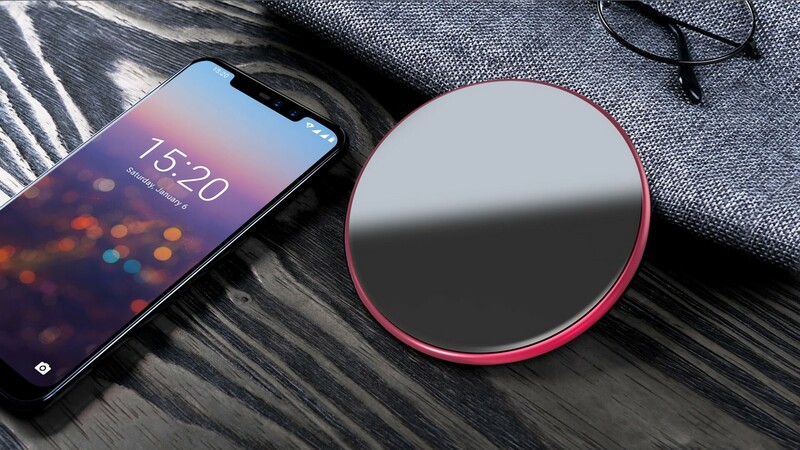 So if you want to get a bigger wireless charging power, this is not only depended on the wireless fast charger, but also your device should guarantee the maximum wireless charging input. Secondly, It’s fashionable, beautiful, portable and solid! The fast charging power is a cosmetic mirror and looks really beautiful. The thickness of the UMIDIGI Q1 is only 5mm, but the average thickness of smartphone is 7.5mm, so that’s a imagiable thickness. And It’s diameter is only 100mm, weights 82.5g, so that’s really compact, travel-friendly and it could be easily hold in one hand. And the UMIDIGI Q1 has a full metal unibody design which is made out of aircraft grade aluminum. It’s not a inexpensive plastic on the back and on the middle frame. It is solid, premium and a high-end product. And last but not least, the UMIDIGI Q1 wireless fast charger comes with an intelligent chip and multi-protection systems to keep your device safe while charging. It supports a plenty variety of protections from extreme temperatures and high current as well as foreign body detection. And you can easily start to charge your phone within 8mm charging distance. To become the first person who is going to own the world’s fastest wireless charger you can make an order at here. Shipment will start from 6th June. So that’s not a presale, It’s an opening sale.